Our clients that are regularly receiving counseling services often ask us how they should tell and explain to their friends and family about their therapy sessions. There is a lot of guilt, shame, and confusion that can add to the stress that our clients are already trying to work on. There is a very heavy and pronounced stigma around receiving professional help with our mental health. As such, our clients find it very challenging to tell the ones that they love that they are going through individual, couples, or family therapy. The general fear is that of rejection and to be treated differently by those they care about the most. There is also a reluctance to being open about receiving counseling services for fear of the onslaught of questions from their family and friends. They worry that their inner circle may somehow want to get too involved and end up finding out all the “issues” they are embarrassed about disclosing. At the end of the day, it’s entirely up to our clients whether or not they want to include others in their mental health recovery process. But, if you are considering whether to let others know that you are receiving counseling services in our Houston Grief Recovery Center, here are some tips and mindsets to help you decide and how to explain to your loved ones that you are receiving counseling services in our Houston center. What are some benefits to letting others know? Relationships based on honesty, mutual support, and trust can enhance and improve essential aspects of your life. If you still feel reluctant to open up for fear of rejection, consider why you believe you will be rejected and why you may even want this person in your life if they choose to decline you. Your eyes will open up to the real relationships that are healthy and precious to your wellbeing when you decide to disclose your active involvement in counseling services. While some friends and family members may give you a hard time for seeking therapy, most will come to support you. Many of our therapy sessions and treatments may even recommend involving family members in your journey because intimate connections can often help you in your recovery. Also if you are just attending individual therapy, some therapists may open up the opportunity for you to bring a friend or a family member to make you feel at ease when you begin your counseling services. Whatever your situation may be, there are a lot of benefits to letting others know of your choice to prioritize your mental health. What is an excellent time to let others know of your active participation in counseling services? The time for you to engage in a conversation about your counseling sessions really depends on your level of comfort with the individual and the level of support you have around the issues you are overcoming. The three things to consider as to when you should let family and friends know about your need for therapy is whether you feel positive and well enough to communicate this with others, whether there are valid reasons to tell them, and whether you feel ready for it. For many of our clients, they can talk quite easily and openly about therapy whether they are with an employer, coworker, or a family member. While many others have a harder time publicizing their need for professional mental health support. If you have a deep and meaningful relationship with someone, it is essential to find a time where you are both unoccupied by other tasks and priorities before you talk to them about your usage of counseling services. That way, you aren’t keeping any secrets; and the earlier you tell your loved ones, the more support you can gain from them. The last thing you want to do is to damage a relationship because you kept this part of your life secret from your loved ones. Keeping secrets is very damaging and unhealthy to any relationships because the other person may begin to wonder what other secrets you are keeping from them. How detailed should your disclosure be? There are no exact formulas to how much details you should make known to your loved ones about your sessions with our counseling services. The depth and spectrum of topics discussed during therapy can be disclosed at your own discretion. It also depends on the issue itself and how much support you may need from these friends and family members. There is no right or wrong amount of information you let others know about your mental health, and there are no limits to how many people you tell either. At the end of the day, the reason for you to publicize your usage of counseling services is so that you can gain an understanding and encouragement from those that you surround yourself with daily. Note that when you do decide to tell others about your struggles with your mental health, notice the other person’s reaction. They may be empathetic and understanding, but they may also close off emotionally. 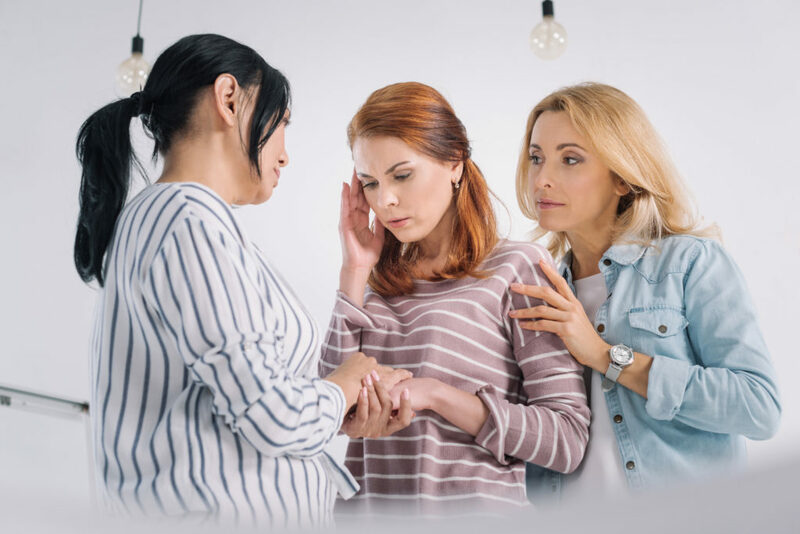 If the family member or friend is uncomfortable with your recovery process with counseling, it is most important to contact your Houston therapist for some guidance instead of feeling more guilt and shame over seeking professional help. When you let others know about intimate details about your life, it is very courageous and should not cause you to feel shame and embarrassment because of your choices. It is common to feel nervous and stressed out about revealing your innermost secrets, as such, we recommend that you write out a list of reasons why you should or should not tell specific people in your life about your partaking of counseling services. Lastly, make sure that you have healthy boundaries with your family and friends over what you reveal to them. If your mental health issues can be mended with your family’s support, it is essential to tell them exactly what type of support you need and how they can help you. Do you need more help with the type of dialogue to use when you are explaining to your loved ones about your treatment with our counseling services? You can contact us at the Grief Recovery Center for more info today.